Stacey Abrams and her five siblings grew up in Gulfport, Mississippi with three tenets: go to school, go to church, and take care of each other. Despite struggling to make ends meet for their family, her parents made service a way of life for their children – if someone was less fortunate, it was their job to serve that person. This ethic – and her parents’ unwavering commitment to providing educational opportunity for their children – led the family to Georgia. Stacey’s parents attended Emory University to pursue graduate studies in Divinity and become United Methodist ministers. Stacey and her younger siblings attended DeKalb County Schools, and she graduated from Avondale High School. Stacey received degrees from Spelman College, the LBJ School of Public Affairs at the University of Texas, and Yale Law School. 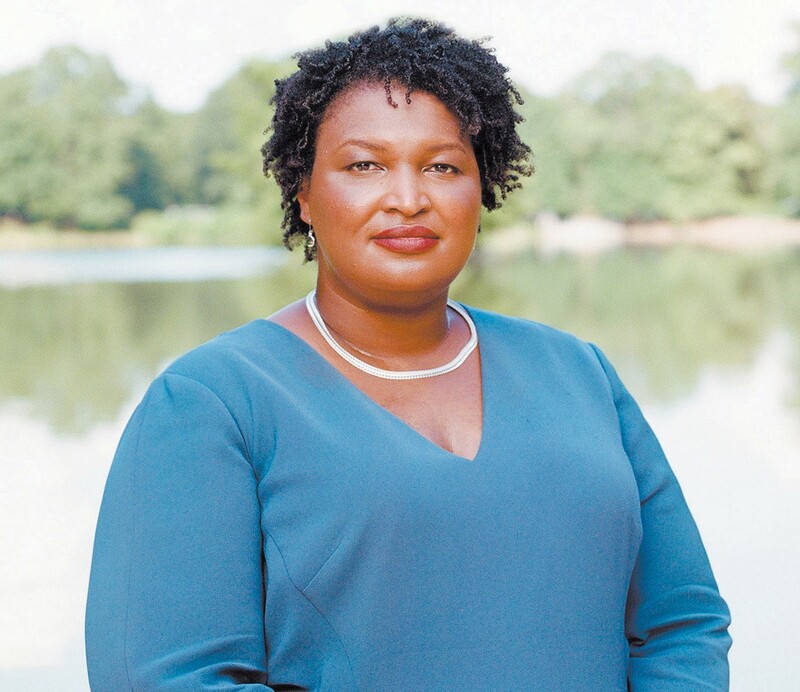 Stacey Abrams was first elected to the Georgia House in 2006. In 2010, Stacey became the first woman to lead either party in the Georgia General Assembly and the first African American to lead in the House of Representatives. As House Minority Leader, she has worked strategically to recruit, train, elect, and defend Democrats to prevent a Republican supermajority in the House, and has worked across the aisle on behalf of all Georgians. During her tenure, she has stopped legislation to raise taxes on the poor and middle class and to roll back reproductive healthcare. She has brokered compromises that led to progress on transportation, infrastructure, and education. Most recently, she passed legislation to improve the welfare of grandparents and other kin raising children and secured increased funding to support these families. Stacey has worked hard to harness the extraordinary opportunities available to our state. She understands that if we have the vision to strive – and the courage to confront our challenges – our potential is boundless. She has met with families and small businesses in more than 150 counties, and she has proven her ability to find solutions across divides. Stacey has received the Friend of Labor award for her staunch support of working families and an A-rating from the Georgia Chamber of Commerce in the same year. She is a lifetime member of the Council on Foreign Relations, and she is the proud 2012 Grand Champion of the Georgia National Fair Legislative Livestock Roundup. Stacey has received recognition from the Georgia Hispanic Chamber of Commerce, Asian Americans Advancing Justice (Georgia), the National Urban League, EMILY’s List, and Planned Parenthood. In 2018, Stacey Abrams became the first African American female to run for Governor of Georgia.